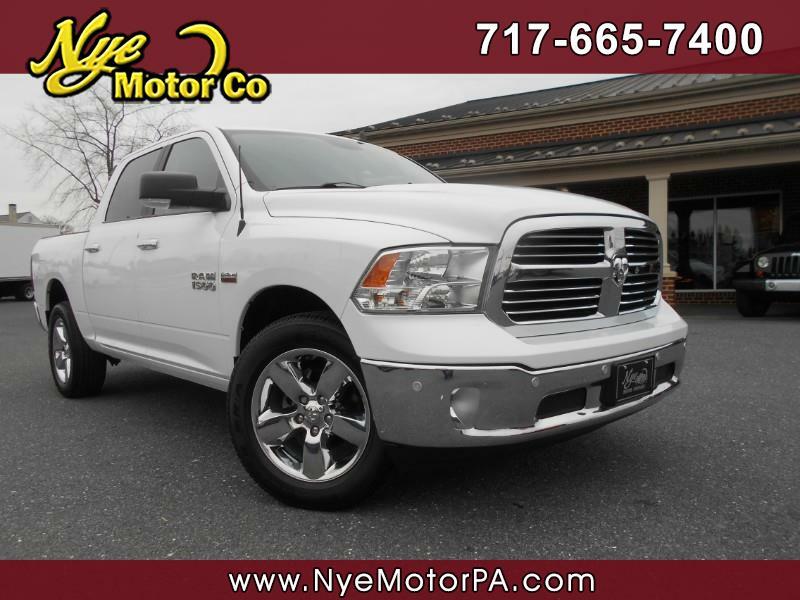 Used 2016 RAM 1500 Big Horn Crew Cab 4WD for Sale in Manheim PA 17545 Nye Motor Co.
****1-OWNER****CLEAN VEHICLE HISTORY REPORT****LOW MILEAGE****BIG HORN****MUST SEE**** Beautiful 2016 Ram 1500 Big Horn 4WD Crew Cab with only 19K Miles! Outfitted nicely with 4-Wheel Drive, Power Rear Sliding Window, Remote Start, USB, Aux Audio Jack, Park Assist, 115V 150W Plug, Back Up Cam, Steering Wheel Mounted Controls, Automatic Headlights, Power Driver Seat, WiFi Hot Spot Available, Tow Package, and More! Under the hood sits a precision tuned 5.7L, V8 Hemi engine paired to a smooth shifting automatic transmission. Call today to schedule your test drive.